As the events of the past couple of weeks have unfolded, many of us have been almost paralyzed in the face of such a brazen and blatant attack on the true values of our nation. 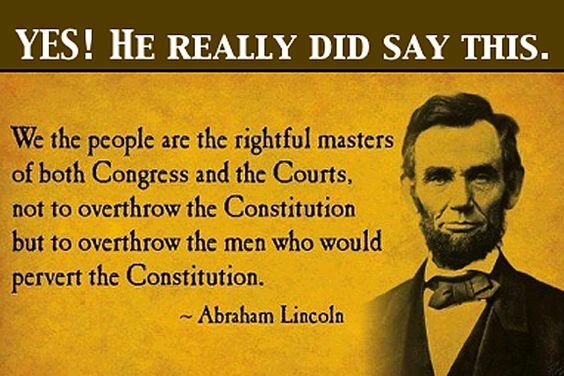 Now is the time we need to again hear these powerful words of warning from President Abraham Lincoln. We have a responsibly to protect the Constitution. We must speak out and step up when we see Congress, the Courts, or the President perverting this document. And at this moment the Constitution, and the values it holds forth, are both being attacked and perverted by #BLOTUS and those he has appointed. We need to protect the Constitution. The responsibility is ours. This entry was posted in News & Views, Quotes and tagged Abraham Lincoln, attack, BLOTUS, Congress, constitution, courts, leader, masters, overthrow, perversion, President, protect, values, warning on January 31, 2017 by Ray Buchanan. 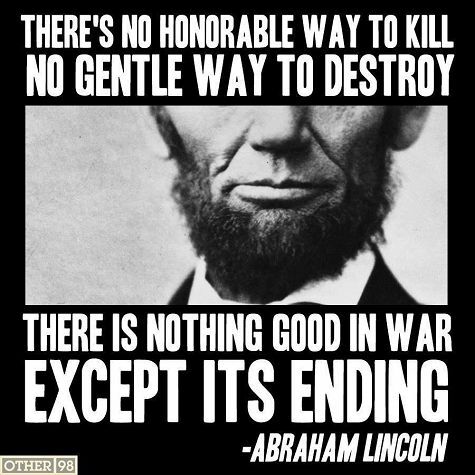 This entry was posted in News & Views, Quotes and tagged Abraham Lincoln, destruction, gentleness, good, honor, horror, quote, war on January 6, 2017 by Ray Buchanan. This quote by one of the greatest Presidents in our history says a great deal about our President elect. Sadly, it’s already obvious that not all our Presidents can be great leaders. Explosive rants on Twitter in response to perceived, or even real, personal insults is not the kind of anger that points to greatness. Uncontrolled outbursts of verbal abuse against those with whom you disagree is vindictive. It is the petty anger of smallness. The anger of greatness is being furious at inequality and injustice, being incensed by bigotry and racism, seething at hunger in a world of plenty. 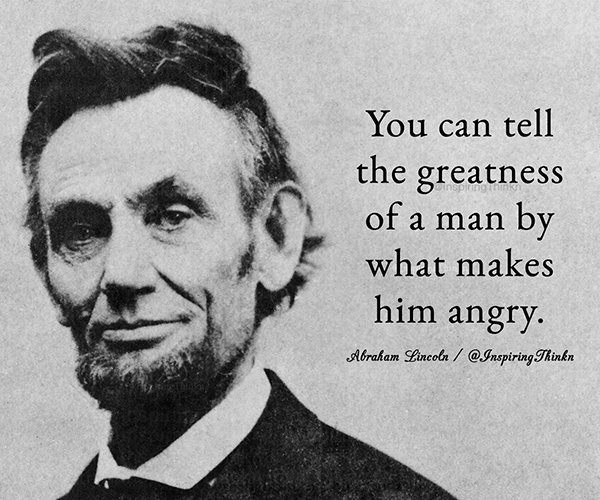 The anger of greatness is the anger that leads to a better world for all. This entry was posted in News & Views, Quotes and tagged Abraham Lincoln, anger, bigotry, fury, greatness, hunger, injustice, insults, leadership, petty, poverty, President elect, quote, racism, rants, smallness, Twitter, verbal abuse, vindictive on November 22, 2016 by Ray Buchanan.